Time magazine weighs in on Tetris' birthday, implying that it is by far the most lasting success of the Soviet Union. "Sputnik burned up in the atmosphere, Berlin is now one city," Time writes, "but 25 years later, the Soviet-designed Tetris remains one of the most popular and ubiquitous video games ever created." 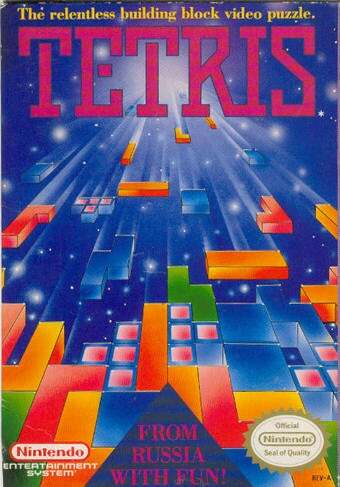 Its retrospective trods much of Tetris' well known history, including how its creator, Alexey Pajitnov, didn't see a dime for his work for years - until the rights to it reverted to him five years after the collapse of the Soviet Union, and 12 years after first writing the game. But they place the game in a broader context, too, including how it nearly singlehandedly made the original Game Boy a success (with 35 million copies sold). "I believe there is some basic psychological pleasure sensor that Tetris has found that other [games] don't," said Henk Rogers, the Dutch video-game designer who secured the console and handheld licensing rights for Nintendo in 1989, in a recent interview with the San Francisco Chronicle. "The balance is so good, it feels like you can always go a little more." And yet just now, visiting Tetris.com (the game's official site) and glancing at a GameBoy port, I found myself unable to leave it until I'd cleared 37 lines. Maybe Henk Rogers was right.